In what is viewed as an admission of financing challenges for its proposed multi-million dollar soccer stadium and fields, the Elk Grove City Council will discuss selling the city-owned 99-acre site slated for a soccer stadium and fields. 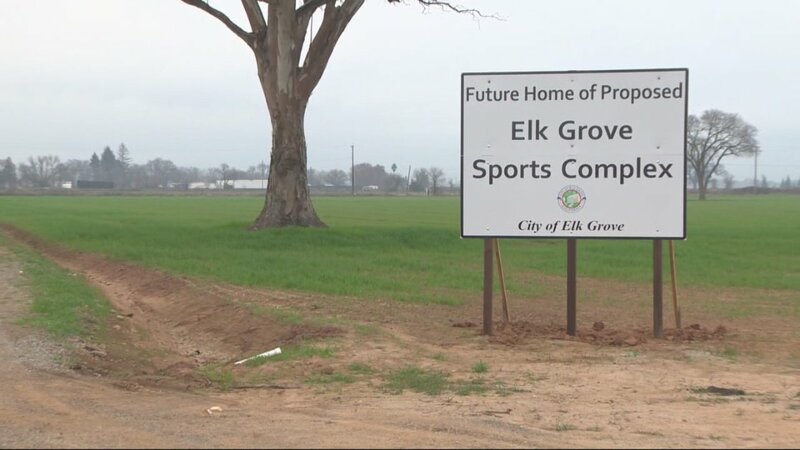 The real property negotiation between the City and the Elk Grove Youth Soccer League will be part of the closed session at this Wednesday's City Council meeting. According to the agenda, the City is negotiating with the area's largest youth soccer league and its President Debra Carlton, on the "price and terms" of a parcel located at 10251 Grant Line Road. The address and tax assessor number are the same as the 99-acre parcel the City purchased in 2014 for the development of a soccer stadium and soccer fields. The land was acquired by the City in August 2014 for $4.4 million. That same parcel was sold in 2011 and 2013 for $690,000 and $1.9 million dollars respectively. Elk Grove paid a $2.5 million premium for the land by borrowing funds from the city's drainage fund. The purchase was part of former Elk Grove Mayor Gary Davis' grand, but ultimately unrealistic plan along with former California State Assembly Speaker Fabian Nunez to recruit an expansion franchise of Major League Soccer to the city. Davis and Nunez' plan was to build a soccer stadium and athletic facilities that at one point was proposed to cost $120 million. Even as it became apparent that if MLS were to expand in Northern California it would be in Sacramento, the plans were scaled back to a cost of between $40 and $50 million. An analysis by one bond underwriter said if Elk Grove issued bonds, which would be the most realistic way to finance construction, given the risk such ventures have they would be rated as junk bonds and would be subject to double-digit interest rates. The 99-acre parcel, which lies outside of current Elk Grove city limits, nonetheless provided the City an opportunity to initiate annexation of that and other surrounding parcels through the sphere of influence process with the Sacramento County Local Agency Formation Commission. Discussion of the soccer facility proposal largely disappeared from Davis' frequent Tweets and public proclamations in his final year in office which ended in December 2016. Likewise, discussions by the City Council during their meetings and City Manager Laura Gill's administrative update report at each City Council meeting have largely ignored any mention of the proposed soccer facility.